Innovative Marine Nuvo EXT Stand kits are drop ship items only. Due to their size we are unable to have them on hand in our warehouse. All drop ship orders will be placed with BulkReefSupply.com will be submitted to the manufacturer within 2 business days of receiving the order. Innovative Marine APS (Aluminum Profile Series) cabinet stands are made of lightweight aluminum and can be assembled in minutes! Available in a beautiful matte black finish. 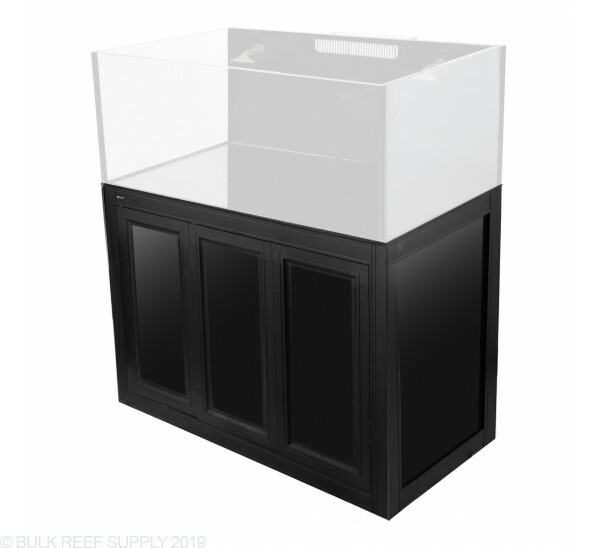 Dimensions - 47.3" x 23.6" 35.4"
Aquarium stands are commonly made of wood or some type of steel that weigh a lot, not to mention are not all that friendly with water drips. 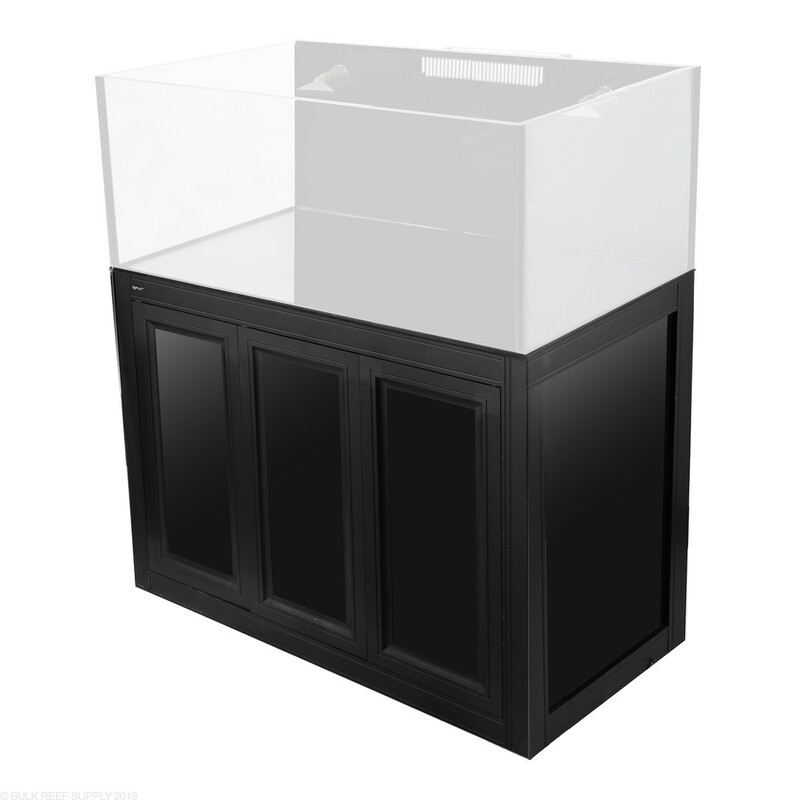 Innovative Marine's Aluminum Profile Series (APS) Stands set the new standard for aquarium furniture construction by making a stand that could actually outlast your tank. Aluminum has been used commercially for many years and now you can have all the benefits of an aluminum stand with your Innovative Marine aquarium. The aluminum channel is resistant to corrosion and will not warp, swell, or blister like wood and steel stands. Customized profiling within the 100% recycled aluminum channel keeps the stands overall weight very low while having the ability to hold massive amounts of mass. Every IM APS Cabinet Stand comes with black pre-cut closed cell PVC boards that fit the stands perfectly giving them dimension and style. The stand doors can be removed quickly if you want to install a sump or for general maintenance. Exterior Dimensions - 47.3" x 23.6" 35.4"
Interior Dimensions - 44.25" x 19.31" x 33.75"